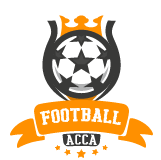 If you would like to advertise on FootballAcca.tips please get in touch as we are happy to discuss your requirements. Information appearing on FootballAcca.tips does not constitute professional advice or recommendation. Betting Special: What are football accumulators, how are the odds calculated and why are they popular? Has online gambling become a public health emergency?